Pulling at the heartstrings of my Irish roots, Eoin Duignan’s original compositions reach deep into the traditional sounds of Ireland. Lumina, inspired by six stained glass windows found in Diseart Chapel, is expressed through the sound of a beautiful six-part musical suite. Listeners will be transported to the Emerald Isle by the sounds of traditional low whistles, keyboards, guitars, harps and fiddles. I find myself completely taken by this music. Its soulful sound makes me yearn for a part of my heritage I long to understand more completely. Although I grew up hearing the stories of my ancestors, I know little of their Irish history before landing in the New World. The ancient sounds of Lumina give me a little glimpse of what might have been the musical backdrop of my forefathers and foremothers. If you enjoy getting to the heart of a culture through music, Duignan can get you to Ireland on the back of a low whistle. Grab your hat and hit play; you’re about to get a little taste of the kind of music you’ll enjoy if you win or purchase Lumina by Eoin Duignan! Multiple chances to win listed below the video clip. 1.) 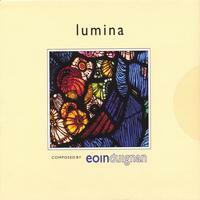 Just watch the above video and tell me why you’d like to win Lumina by Eoin Duignan. (You may enter once a day.) Remember, leave an interesting comment. If I cannot contact the winner, you might be chosen instead based on your comment. 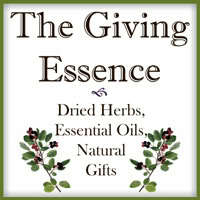 Feel free to do all four to gain several entries to win! You have until midnight EST on Thursday, April 9, 2009, to enter. I love Irish music. Not sure if I’m Irish but I love everything Irish. Beautiful music! I’m always on the hunt for different types of music to listen to. The main reason that I would like to win Lumina by Eoin Duignan is to share it with an Irish friend of mine. Thanks for this chance. Bcteagirls last blog post..Free Lindt Chocolate bunny with purchase at R&W Co!